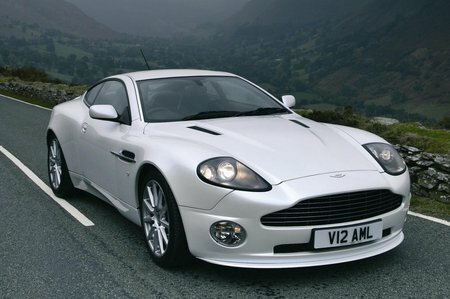 What's the used Aston Martin Vanquish coupe like? In S trim, the Aston Martin Vanquish has a 520bhp V12 that makes it one of the fastest road cars Aston has ever produced. Thanks to a top speed of 200mph, it's almost capable of going three times quicker than the national speed limit. The 'ordinary' 460bhp V12 is only marginally slower. Both sound superb and feel monstrously fast. Happily, the Vanquish has excellent brakes and a chassis that can deal with all that power - provided you know what you are doing behind the wheel. However, there's much more to this car than just sharp handling. It's as much a driver-oriented grand tourer as a sports car. It has an excellent ride and can cross continents not only quickly, but also comfortably. Inside, the car has a cosy feel and all but the tallest drivers should have enough room. When new, customers could choose between additional rear luggage space or two occasional-use child-size seats, so check what you're buying.